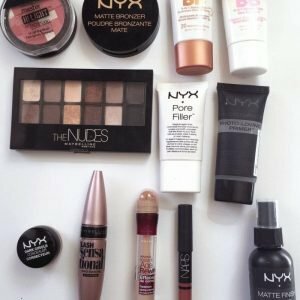 Every Spring I like to make sure I change or try new beauty products. 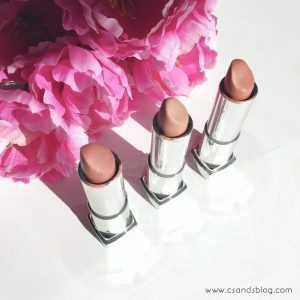 I want to share with you some Spring beauty products to use right now. 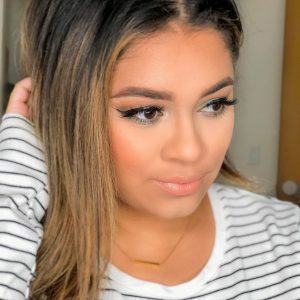 Lately these products I have been using and been loving. These products are great for the warm weather, so you’re not feeling like your products are caked onto your skin. Like I’ve mentioned before, I don’t like to wear much makeup in the spring/summer if the temp is going over 70 degrees. Nobody has time for all that. PŪR∼Lisse Blue Lotus Balancing Moisturizer – I received this moisturizer a few months ago and I haven’t stopped using it since. It’s a really good moisturizer to use before doing your makeup. This moisturizer contains white tea, vitamin e, and french marine plants. The Body Shop Tea Tree 3-in-1 Wash Scrub – I’ve never tried this brand’s products before so I was super excited to try this scrub because I’ve read so many great reviews on it. I tend to get a lot of blemishes and when I do I love to use this wash scrub along with their Tea Tree Oil & Skin Clearing Daily Solutions. Pixi Beauty + It’s Judy Time Eyeshadow Palette – I’ve raved about this eyeshadow before and I can’t stop using this palette. I use this palette for everyday wear. Read the full review here. Mario Badescu Rose Water Spray – Love love love this facial spray. I love to spray it after washing my face and of course as a setting spray. If you haven’t tried this facial spray, you’re missing out because this smells so good and has really great skincare benefits. You can even use this on dry hair. 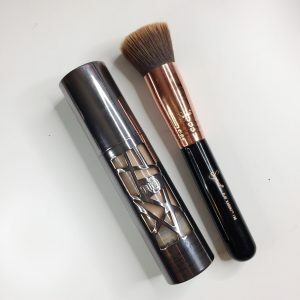 Wet’n Wild Photo Focus Concealer – I’ve never tried the NARS concealer but I’ve heard that this concealer is a dupe for it so I had to try and I haven’t stopped using it. I love the full coverage it gives and it’s not so thick, at least in my opinion for a full coverage concealer. Elf Cosmetics Blush Palette – Every girl needs to have this palette in their collection. The colors are pigmented and perfect for spring. They do have a darker version for girls with darker skin. Fresh Sugar Lip Balm – I have dry lips and this has been a God send. Whenever my lips feel dry I love to apply this lip balm or when I just don’t want to wear lipstick. It also has sunscreen SPF 15 which is awesome for those sunny days. PÜR Cosmetics Bronze Your Selfie – Want to look like you have that summer glow, this will definitely give you that. It’s also great for your body. I applied this as a primer before my foundation and I loved how it looked. Colorescience Sunforgettable Brush-on Sunscreen – This product had me a “brush on”. I’ve never heard of brush on sunscreen. Perfect for on the go. It’s also water resistant. You can wear it alone or over your makeup. 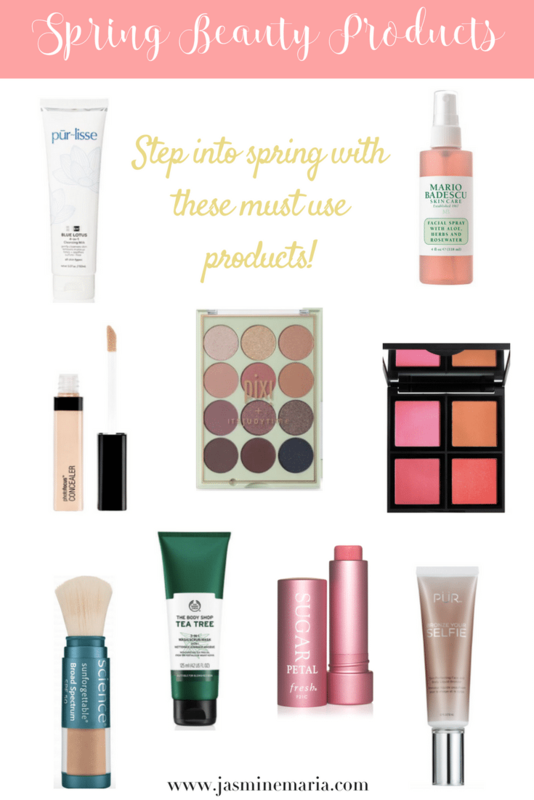 What Spring Beauty product are you loving this year?